CERTIFIED! 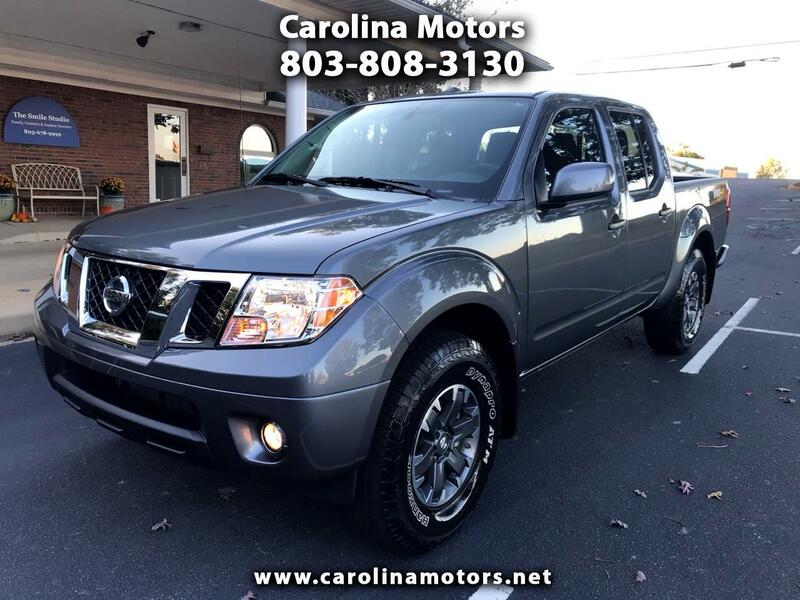 2018 Nissan Frontier Pro4X , One owner, 4 x 4, power windows, power locks, cruise control, Bluetooth, factory navigation, Rockford Fosgate audio, automatic transmission, Tow Package, heated seats, rear view sonar and camera, fog lights, sliding rear window, rhino liner bed liner, utility bed tie down system, Delay wipers, side airbags, too much to list! See free car fax and more info at www.carolinamotors.net ! Warranty Description: MANUFACTURER'S WARRANTY STILL APPLIES: The Manufacturer's original warranty on this vehicle has not expired. Consult the Manufacturer's warranty booklet for details as to warranty coverage, service location, etc.